I can sum up the reason for Trigger Point Therapy, with two words: Ischemic Compression. Ischemic compression simply means continually putting pressure on a tissue for an extended period of time (usually at least 15 seconds, but can be as long as one minute), with the intent to squeeze out all of the substances suspended in the liquid contents of that tissue and in terms of back pain relief or muscle pain relief it triggers a myofascial release which relaxes contracted muscles, improve blood and lymphatic circulation, and stimulate the stretch reflex in muscles. Substances suspended in the liquid portion of a tissue include, but are not limited to, oxygen, carbon dioxide, nutrients, and waste products of that tissue’s usage. In muscles, the most relevant waste product and pain generator is lactic acid, the thing that causes the muscle pain when we exercise too much, or have to hold a posture for too long. Overused muscles (whether through exercise or just simply prolonged posture behind a computer) build up more lactic than they can get rid of, so the muscles start to hurt and eventually the excess lactic acid causes painful knots to form in the muscles. One of the way to speed up the recovery time of muscle pain relief is using trigger point therapy products and aiding in myofascial release. Ischemic compression is used to push on the knotted-up regions within a muscle. 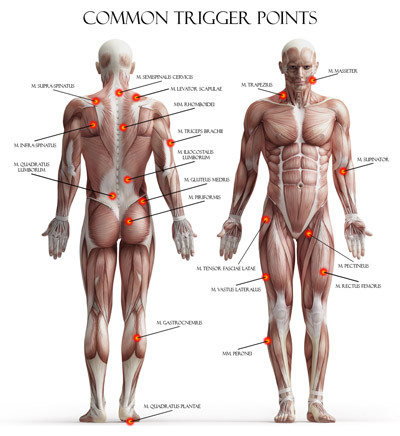 It is rare that an entire muscle is knotted up with trigger points. It is usually just spots within a muscle that require the ischemic compression. The goal of ischemic compression is to push the lactic acid out of the knotted muscle fibers, and to push it into the interstitial (between the muscle cells) space triggering myofascial release. Once in this space, the human body has two systems that can pick the lactic acid up and take it to the liver and kidneys for getting rid of it – the lymphatic and the venous systems. Here’s where the neatest part of this healing process happens. Once the continual pressure is released, the lactic acid cannot get back into the muscle because there are valves in the lymph vessels and the veins that prevent back flow. In addition, blood flow is unidirectional (goes in one direction), and therefore, the only liquid that can fill up that portion of muscle tissue that has just been squeezed empty, is blood coming from the heart and lungs, which is full of healing oxygen and useful nutrients. 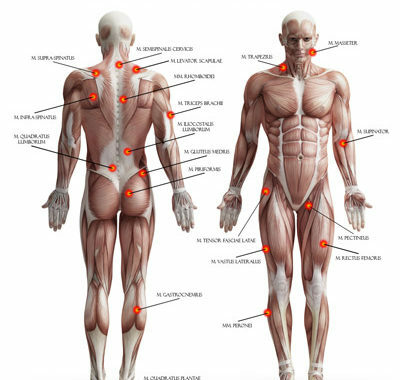 Because the process of buildup of lactic acid in a muscle is generally greater that the ability of that muscle to naturally get rid of that lactic acid, manual Trigger Point Therapy should be an essential part of every human being’s self-help regimen and using trigger point therapy products like Dr. B’s Back ReLever is one of the easiest and most effective way to do this.